Ashtanga Yoga is an ancient system of Yoga that was taught by Vamana Rishi in the Yoga Korunta. This text was imparted to Sri T. Krishnamacharya in the early 1900’s, and was later passed down to Pattabhi Jois during the duration of his studies with Krishnamacharya, beginning in 1927. 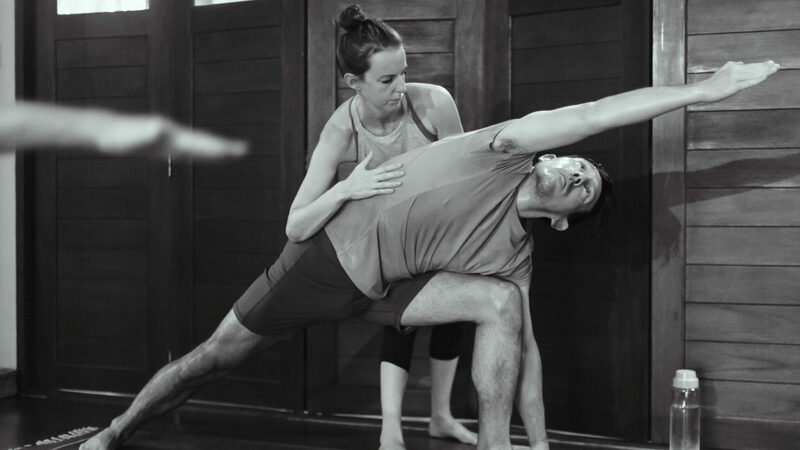 My Passion for Ashtanga Yoga takes me to Mysore, India every year to Practice under R. Sharath Jois, Pattabhi Jois’ grandson, a man with vast knowledge of the Practice and a great understanding of how to implement Yoga into our lives. I teach in my hometown of Banbury, England.